My mom was diabetic and did not maintain a proper diet for her condition. She also had early stage dementia, but was apparently not handling her insulin injections appropriately. At one point she was very close to a diabetic coma. Having no medical background, I had no idea what was wrong with my mom or how serious it really was. I was under the impression that her caregiver had experience with eldercare and was getting her nursing degree (this was lie). Unfortunately, this wasn’t true and I realized much later that I hadn’t been involved enough with my mom’s care. Thank goodness she already had a doctor’s appointment scheduled for the next day or she might have died at that time. Six months later, my mom had a stroke and ended up bedridden, on a feeding tube, and unable to speak. The primary caregiver had arranged for around-the-clock care after the blood sugar issues, but now my mom couldn’t do anything for herself at all. There were plenty of opportunities for neglect or abuse. I was visiting more regularly at this point, but probably not enough to really know what was happening. It was easy to believe that everything was fine, but I also didn’t know how to recognize any problems. Elder abuse is a major problem. Although attorneys may think of this issue primarily as physical abuse, elder abuse may take several forms: financial, physical, mental/emotional, and neglect. Anyone can be an abuser, including a caregiver in the home, family member or healthcare employee. Physical abuse is fairly easy to spot because there are often bruises or scars, although some abusers hit the part of the body normally covered by clothes. Injuries are often easy to detect in a healthcare facility because of the opportunity to examine the patient’s body. Mental or emotional abuse may be manifested in fear, withdrawal, depression, and expressions of worthlessness and helplessness. Sexual abuse may be less easy to spot, but, again, an elder’s behavior is a clue. He or she may seem uncomfortable, embarrassed, nervous, and anxious. An elderly female may have vaginal bleeding, sperm in a urine specimen, bruises, tears, and so on. Neglect may mean that the elder is not getting fed, bathed, dressed in clean clothing, or receiving medication, for example. If she is still living at home, her home may be ill kept or downright filthy. If elder is receiving care from a hired caregiver, a family member may spot the neglect during a visit. If the elder does not have any assistance, he may be neglecting himself, either because he has dementia and doesn’t realize he is not doing basic hygiene, is depressed, or is no longer able to perform simple functions on his own. He may also be afraid of falling in the shower, for example, so he simply avoids showers. Mental/emotional abuse may come in the form of isolation, intimidation, harsh words, teasing, and other disquieting behaviors. The elder member may be abnormally quiet, fearful, or nervous. I found out later that my mom’s friends had tried to call and/or visit, but the caregiver was either not answering the phone, not giving anyone the messages, or telling mom’s friends they couldn’t see her. My mom had always been a very social person and was being completely isolated. I only found this out after she passed away. Had I known, I would never have allowed that to happen. This was a form of abuse through isolation. 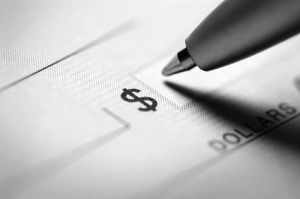 Financial abuse or exploitation may occur if there is not sufficient oversight of financial resources. Financial exploitation can be as simple as a caregiver using credit cards for personal purchases or as complex as convincing an elder to rewrite her will or create a power of attorney naming the caregiver as one who has charge of finances. There are also criminals who may call the house and convince the elder to “invest” in a scam, pay taxes on “lottery winnings in a foreign country” or make a purchase that never shows up. My mom had dementia that was not officially diagnosed and she was exploited financially of tens of thousands of dollars by a hired caregiver. I was tipped off by another caregiver that the primary caregiver was skimming money off everyone’s pay. She also suggested that I check the credit reports, where I found that there were credit cards for which we were not receiving bills and bills for credit cards that I couldn’t find. I immediately re-routed all of the mail to me and started requesting a year’s worth of bills from all the credit card companies. In my research of the bills, I found over $30,000 in credit card debt that could not have been my mom’s! Because my mom was bedridden and couldn’t do more than move her lips a little or make a light whisper for many months, there were many opportunities for neglect, physical abuse, and mental/emotional abuse. She had worn glasses most of her life, but somehow they were “missing” or “broken” and she was not even given the opportunity to see out of her one good eye — another form of abuse. When I removed the exploiting caregiver and her associates and brought in qualified, licensed people, I saw my mom relax and appear much happier. Attorneys may hear family concerns that their loved one is being abused or neglected. There is often one simple recommendation for a home based care situation. The family member must be involved in their care. A geriatric care manager may fill this role if the family member is far away. A family member must also be involved in the finances, even if it means monitoring the accounts via the Internet and paying the bills. Remember, any elder may be vulnerable and runs the risk of any type of abuse. In Part 2, I describe what can be done to investigate an abuse concern. Faye Levow prepared this guest blog post. If you have a case involving possible elder abuse, call us at Med League. Call us can help with supplying a chronology, timeline or well-qualified expert.